Home » Page Type » Articles » All Physics is Nonlocal! At the recent SMN conference devoted to the work of David Bohm and Ilya Prigogine, Basil Hiley treated us to a thorough, mathematical discussion of nonlocality — one that sent me back to my physics textbook. Nonlocality is a word you hear quite often these days. But what does it mean? Though most physicists accept nonlocality as a fact, my perusal of collected papers on the subject, “Quantum nonlocality and reality”1, convinced me that there is no agreement among physicists on what nonlocality means. Application of the concept to telepathy or precognition, while tempting, may be premature until we are clear about what we are talking about. The subject becomes even more confusing when considering the nature of consciousness. Does consciousness affect the behavior of subatomic particles? I asked Basil Hiley over coffee, “Where is the observer?” He said, “Inside the quantum particle, looking out.” Now that is different from what we were taught in Quantum Mechanics courses. 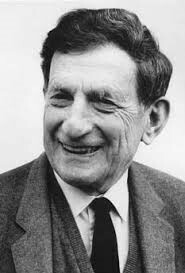 If Hiley’s view, and that of David Bohm is correct, there is no separation between the observer and the observed. The view that our consciousness directs the behavior of subatomic particles is incorrect. The correct view is that our consciousness is inseparable from the particle. 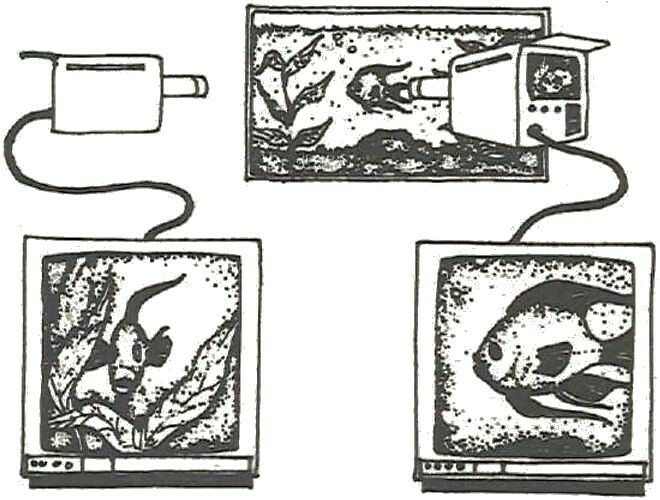 One way of looking at nonlocality was suggested by David Bohm in the cartoon below. We have two separate views of a fish in a tank. When one fish moves, so does the other. We see both images change simultaneously. We might think that a signal actually travels from one fish to the other, but all the time we are looking at the same fish. Bohmian mechanics is different from traditional quantum mechanics, in that particles follow definite trajectories, and possess both a definite position and momentum. This doesn’t violate the uncertainty principle, because that principle only places limits to what we can know about position and momentum. What Bohm said is that a quantum particle has a real as opposed to statistical existence; is both a wave and a particle, but one whose trajectory is defined by its Quantum Potential. Quantum Potential is nonlocal in that it does not depend on position or time. Its presence results in much that is weird about quantum trajectories — how they can change abruptly, follow strange geometries, pop in at one place and appear at a totally different place. God may use telepathic methods, but unfortunately, we cannot. At least not in this way. From what we understand, we cannot use entangled particles to transmit a message instantaneously. The reason lies in a subtle feature of quantum physics, that does not allow us to clone a quantum particle. The communication relies on each particle having a random property. If this randomness is compromised, so is the communication. Imagine a microscopic particle, entangled with another, that has conscious awareness and can be aware of the change of its state. Then a change that happens to one partner particle, will instantaneously be known by the second particle. This is because the particle and the observer are one and the same. The author hastily points out that particles are not considered to be endowed with consciousness.